IVAcademy offers Professional Web Design Services and specializes in eCommerce Website Design and Development for you Growing Online Business. Additionally we will empower your business with the best SEO, Marketing and Global Online Advertisements! IVAcademy offers Professional Web Design Services and specializes in eCommerce Website Design and Development. SEO and Online Marketing. When it comes to developing an eCommerce website, or an eCommerce redesign, you need a partner that is focused and experienced in providing companies the best in professional e-Commerce web design solutions. With a team of experts under one roof, IVA goal is to offer you all of the necessary design, development and search marketing services needed to be successful online. Our full-service approach allows us to ensure your overall success. We've worked on hundreds of eCommerce projects and know what it takes to generate sales. Utilizing responsive web design, our eCommerce websites are optimized for desktop, mobile and tablet shopping. With platform features like unlimited products and categories, to a checkout, we make online shopping easy for customers and easy to manage for website owners. From selling a product or subscription, to taking payments for a service, our team can develop the custom eCommerce website solution that's perfect for your business. Having a solid eCommerce platform is the foundation of your online business, and we understand the importance of utilizing the latest technology to increase your profitability. 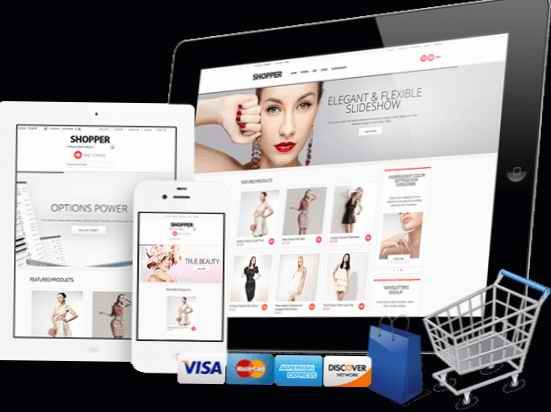 Our eCommerce solutions offer the best in standard features and functionality while remaining completely customizable. Our team can discuss your custom functionality needs and tailor a solution that matches your online brand and eCommerce goals. -Lifetime Support & Much More just Contact us for more info.